Most are familiar with the biggest names in wearable tech, including Fitbit, Apple Watch, Garmin, Polar, Misfit, and Jawbone. But those aren’t the only options out there. In fact, wearable technology offers a wide variety of options and benefits, including sleep tracking, emergency response and location, posture correction, and even fertility. It’s not only fitness that draws consumers to wearable technology, either. Overall healthcare concerns, lifestyle options, and even entertainment make these items the must-have of 2018. In fact, 20% of Americans under the age of 65 use health-tracking wearables. And if you believe that the younger generations are the only ones seeking out wearable tech, think again. 17% of Americans overthe age of 65 are also using health-tracking devices. Wearable tech is booming, with the category set to grow even more in the coming years. IHS suggests that wearable tech will double in revenue to $11.2 billion by 2020. According to experts, wearable technology and embedded devices will be ubiquitous by 2025. So Who’s Wearing the Tech? Wearable technology appeals to many Americans across the board, regardless of age, income, or gender. Some may prefer a different type of wearable, but the fact remains, there is broad appeal. For instance, over 70% of men wear a smartwatch with fitness trackers included, as opposed to just under 30% of women. 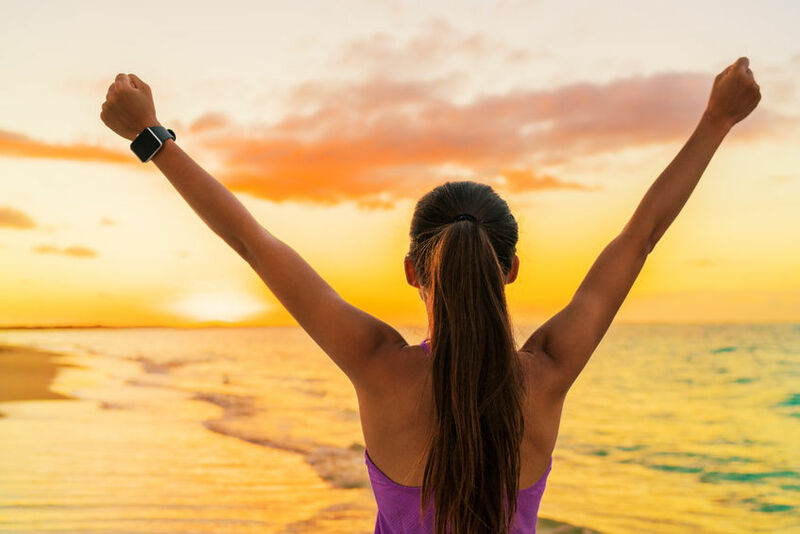 However, 55% of women wear other types of fitness trackers or other wearables, including those that help them better understand their reproductive health, hormonal cycles, and fertility. With today’s hectic lifestyle, we know that sleep is critical to overall health. As a result, fully 72% of Millennial women are using wearables just to track their sleep patterns. 40% of 25-34-year-olds are wearing smartwatches, while 37% of consumers ages 35-54 are more likely to wear a fitness tracker. In other words, there is no real “average” consumer for wearable technology. If you look closely, you’ll see a certain disparity between the way some wearables are marketed to men and women. For instance, if you’re familiar with Owlet, wearables for babies’ health, you may have seen the marketing video that focused only on mothers—with nary a dad to be seen. Surely fathers would benefit from a smart baby monitor. Then there’s Nike, who created compelling stories about brands and its customers with the “Our Year” campaign. Starting in 2014, Nike began gathering data from customers who train using Fuelbands or apps like Nike+ Running. At the end of the year, the company rewarded its 100,000 most active users with customized animated films that showcased their athletic exploits in 2014 and encouraged them to “outdo you” in 2015. Finally, there’s Mellamor, a smart, app-enabled jewelry line that allows you to change the color of the gems or feel a pulse when a loved one thinks of you. If you think that’s marketed solely to women, then you’re correct. There’s also the rose gold trend, started by Apple and carried on by various other wearable tech creators. Misfit offers a rose gold tracker, Garmin a rose gold smartwatch, and the rose gold Motiv ring. While many wearable options provide more benefits to one demographic over another, marketers shouldn’t stereotype or put their audience into gender boxes. Women may prefer a plain black band, and men may want a personal safety wearable option. Dads may want a wearable baby monitor, while moms may prefer a fitness tracker for her morning runs. Find your tribe. Focus on identifying and building relationships with those advocates who will help you reach the greater masses. Instead of marketing directly to the crowds, leverage those brand advocates to spread the word. Be social. Encourage and reward customers to share product photos and experiences with their social communities. For more information and insights on health and wellness marketing, check out our blog, or give us a call.